It's that time of year again! My kiddos go back to school next week and we've spent this entire week shopping, getting haircuts, and filling out registration forms. I love the excitement of the new school year, and I love back-to-school crafts, so today I thought I'd share a roundup of some of my past school-themed projects. Are you ready? 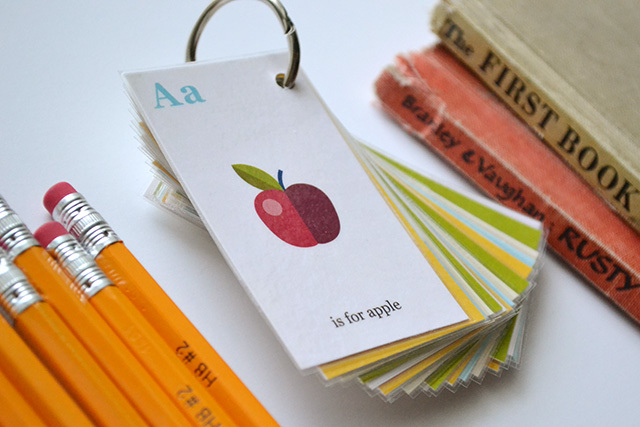 This is an easy bookmark project you can make with your student that costs almost nothing. 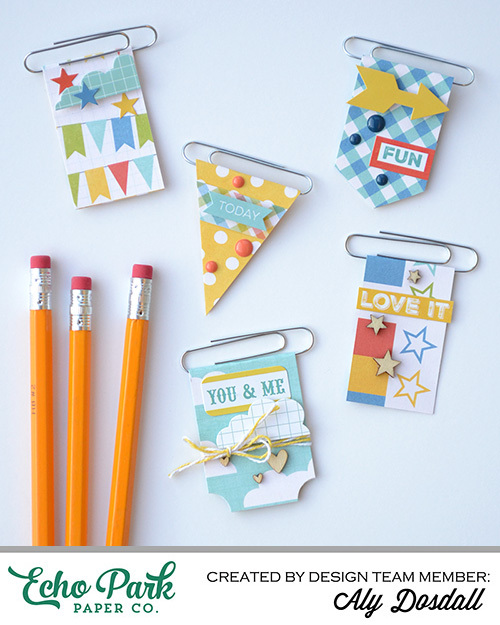 Take jumbo size paper clips and add scrapbook paper, stickers, twine, and other embellishments. Clip these little guys onto the next chapter of your favorite book, and you're good to go! You can find the original post with full instructions on the Echo Park Paper blog HERE. While this project isn't for your student per se, it's can be highly beneficial for them! Take a nice note in a handmade card to their new teacher to start the school year off on the right foot. 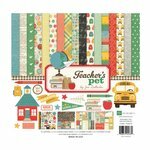 Use some school themed scrapbook papers and embellishments, and let your child's teacher know how much you appreciate them. You can't go wrong with kindness! Catch a FREE pdf file with full instructions and details on the Echo Park Paper website HERE. If you have older school age kids then you know they sometimes need a little help keeping all their assignments organized. 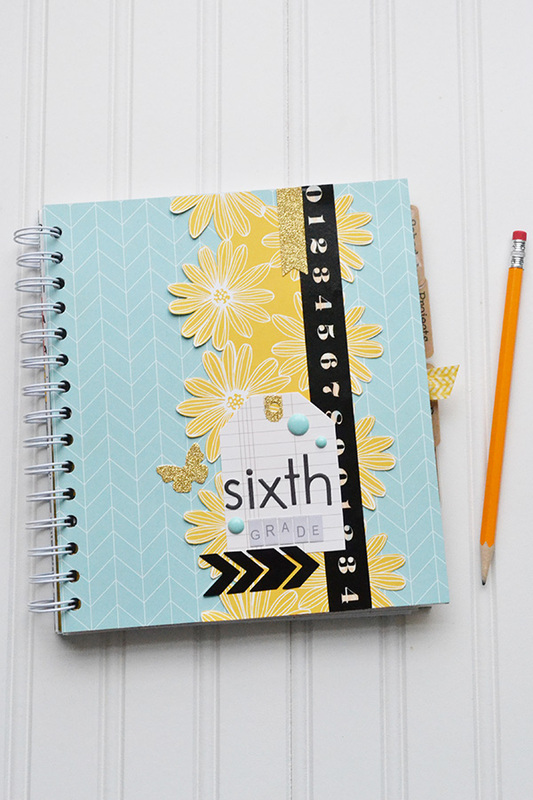 Use your crafting tools and supplies to make your own spiral notebook agenda. 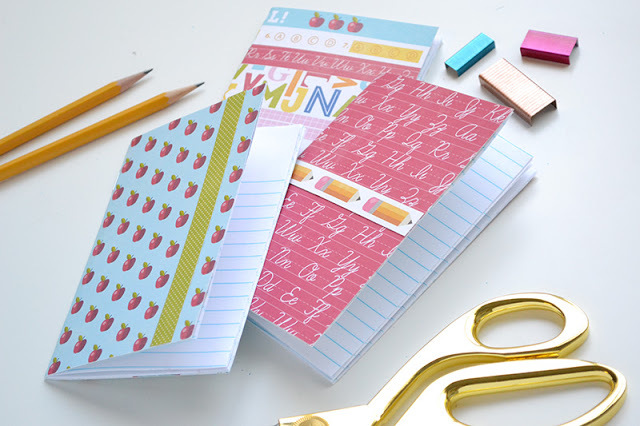 Trim lined paper for the inside pages, and cover cereal boxes with scrapbook paper for the covers. 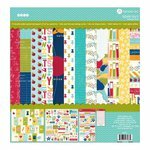 You can add tabbed dividers, pockets, envelopes, and whatever else your student might need to keep everything organized. I bound my notebook with my Cinch binding tool, but you can take your pages and covers to an office supply store of copy store to get it bound as well. 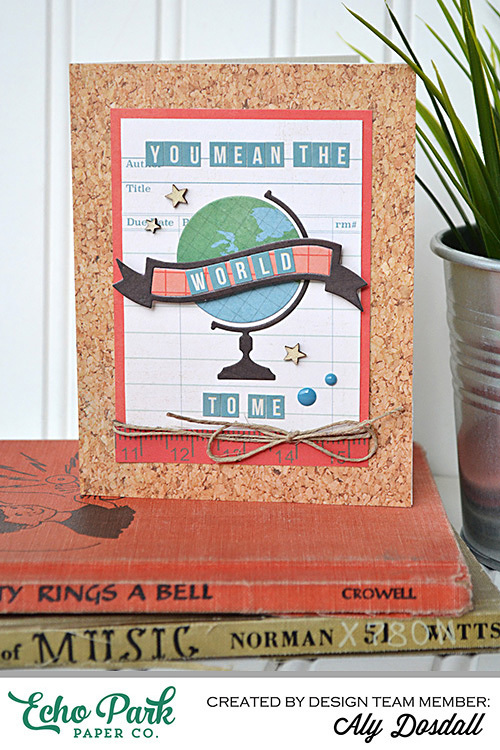 For more photos and full instructions, visit the Scrapbook & Cards Today blog HERE. Young students just learning how to read will get totally excited about their own set of handmade laminated flash cards. Help them learn their letter sounds and how to read simple words with this easy back-to-school craft. 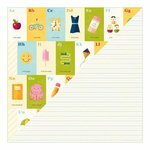 I made mine from a sheet of this school-themed scrapbook paper, but you can find tons of free printable flash cards online. Just do an internet search on "free printable flash cards". Use a paper trimmer to cut them up, and then get them laminated. I used my Heidi Swapp Minc tool to laminate mine at home. You can find full instructions for doing that on the original blog post HERE. My kids always need multiple composition books for each school year, so why not make them myself! These mini composition books were easy to make with the new Staple Board from We R Memory Keepers. I trimmed some lined loose leaf paper and then added a scrapbook paper cover. The staple board went right through all nine layers, no problem. I've got a full tutorial, including a video demo, of this back-to-school project on my blog HERE. Thanks for sticking around for this fun back-to-school project roundup. 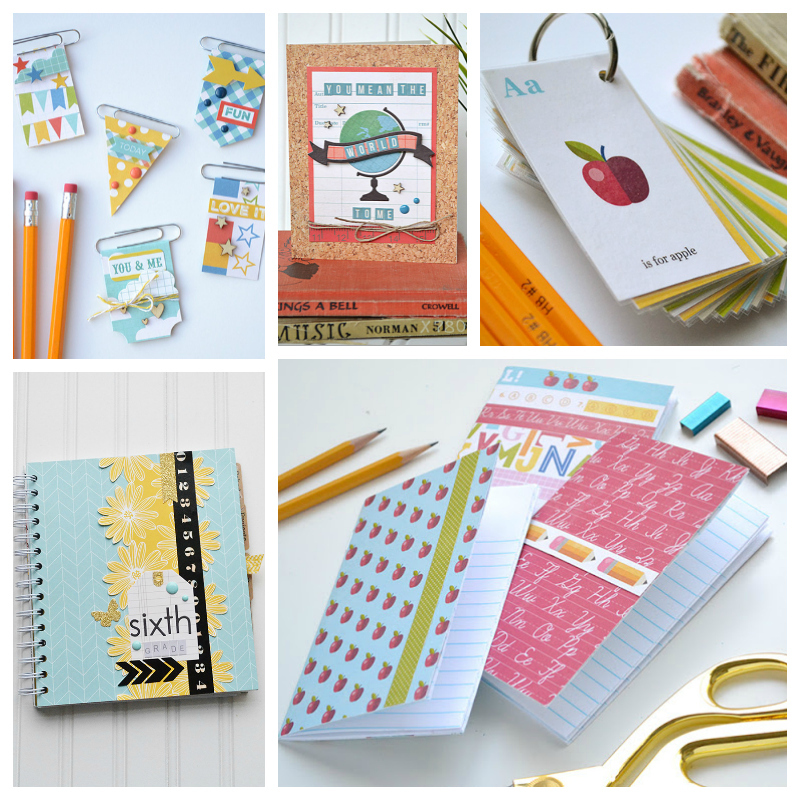 Happy new school year, and happy crafting friends!